Start your search online. If your inbound marketing agency can’t get its business found, how is it going to get your business found? Visit the agency’s website and download its content to get a sample of what its work is like. How well-written and designed are its offers? If the agency can’t create excellent content for its business, how will it be able to do so for you? Now that you’re ready to talk to a digital marketing agency, make sure you dig deep into its capabilities. Ask questions. How many clients does it currently work with? 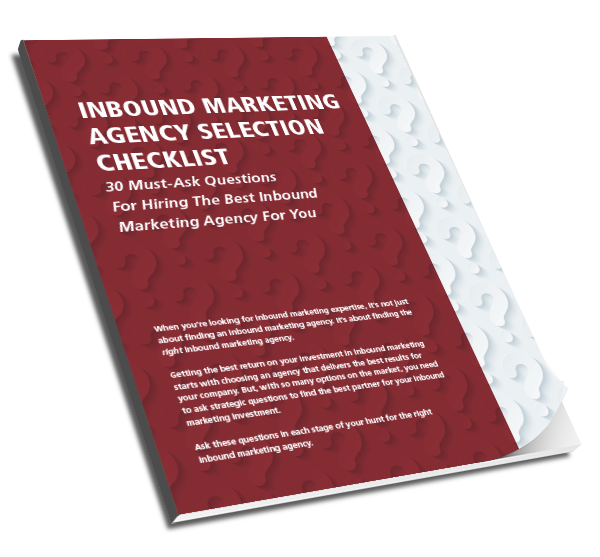 How many inbound marketing programs or demand generation programs has its team run over the last five years? What are the typical results of those programs? Make sure you meet ALL the people you’ll be working with. Ask to meet your content team, your interactive designers, your development resources and your marketing strategy people. Then, talk with them about the depth of their expertise. Results matter, so explore this with the entire team. Ask what kind of results you should expect and how confident the team is in delivering those results. 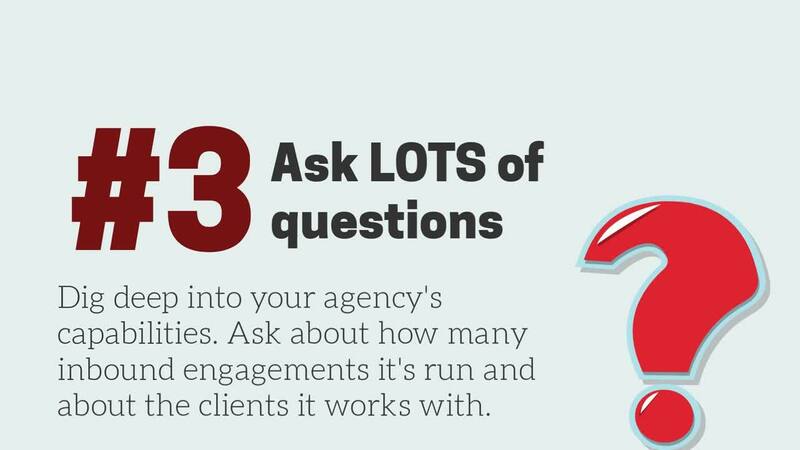 Find out how often the agency hits projections with current clients, and consider asking if it’s willing to put all or some of its fees at risk to prove it. Ask about program recommendations. Is the digital marketing agency suggesting packages? Your business is unique, so you should expect personalized program recommendations. Make sure the recommendations cover all of your requirements, not just some. Do yourself a favor and don’t bother checking references.  Every agency has a couple of referenceable accounts. There’s rarely any value or differentiation uncovered there. Instead, ask for some video content from clients who've gone on record and produced positive commentary for the digital marketing agency to use.